What are the common metal belt materials? 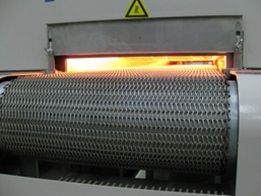 Metal belt is the essential part of a belt furnace. You may be familiar with words like SUS314, high temp resistant nichrome. Have you ever wondered what exactly these materials are? Now let's take a close look at these materials. SUS 314 is austenitic stainless steel at room temperature. It has a chemical composition of C Max: 0.25%, Mn Max: 2%, P Max: 0.045%, S Max: 0.03%, Si: 1.5 - 3%, Cr: 23-26%, Ni: 19 - 22%. Cr20Ni80 is composed of 20-23%Cr, less than 1%Fe and about 80% Ni. Both SUS314 and Cr20Ni80 has good oxidization resistance ability at high temperature. They are typically used in applications like thick film firing, Direct Bonded Copper(DBC), brazing, annealing, glass-to-metal seal and etc. SUS304 has a composition of C Max: 0.08%, Mn Max: 2%, P Max: 0.045%, S Max: 0.03%, Si Max : 1%, Cr 18-22%, Ni: 8-10.5%. 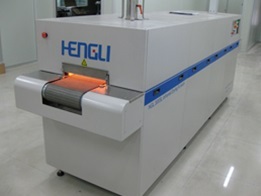 SUS304 is often used in low temperature applications like curing, Post Mold Cure(PMC),drying, soldering, SMT and etc.